This would be it. 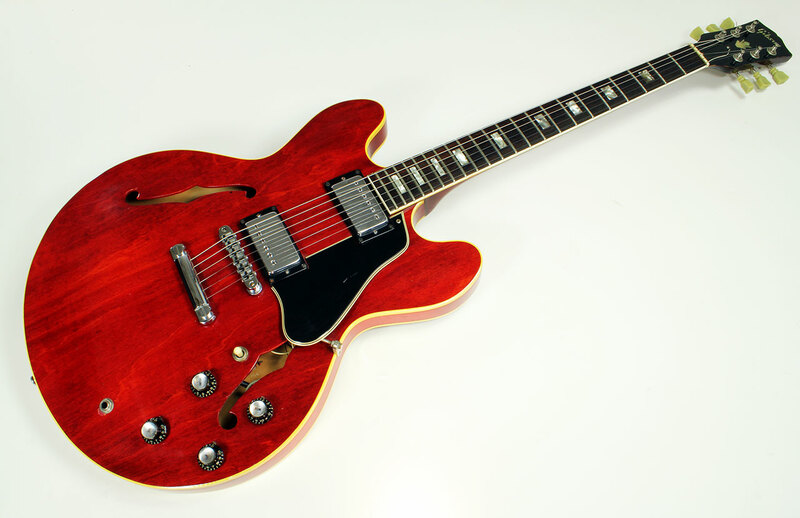 1960s ES 335. I'd love to have this double neck. I jam a lot with just a drummer. I'll take the hat too. When I dream about guitars and when I dream about my dream guitar, it's usually made of some kind of snack food and it's totally playable and totally eatable. Yes even the strings. I always thought an SG with a Tele bridge (on mounting plate) and a 90 in the neck would be cool. 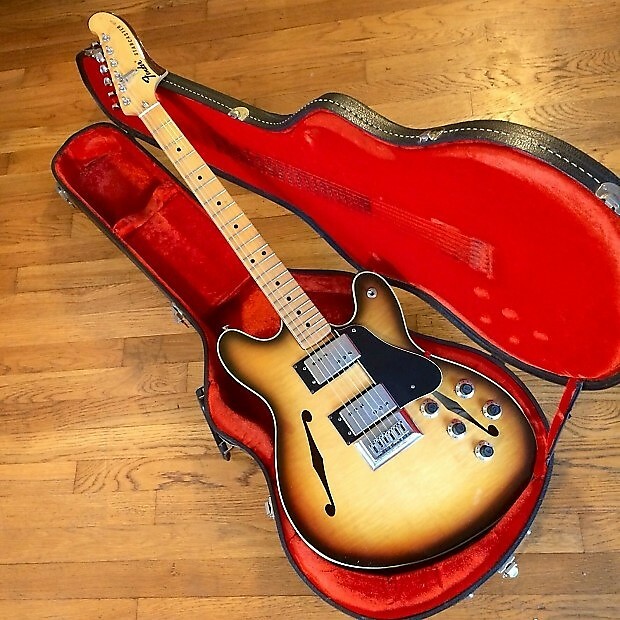 Fender made the starcaster, but the headstock wasn't reversed. They make a modern player version right now with four knobs vs. six. Where did you find the pic of the 'Hog? I have one as well but I've never seen one with the same vol and tone knobs. Mine is a 2002 and it's the second from the last in the above pic. Some day I’ll be able to afford one. I’m chasing the tone unicorn too. The more I play in the band I’m in, the more tone and playability trump looks. I just traded a Strat for a PRS Custom SE 24. Haven’t looked back. I left my ‘08 Trad with my teacher to see whether he wants to buy it because I know I won’t play it. I like the tone, but can’t abide the school bus frets and just don’t see the expense of a refret as worth it. Mind you, I’ll never sell my ‘94 standard. I might not play that much after having acquired this PRS, but it’s going nowhere. I do play a Highway One Tele on a few songs. 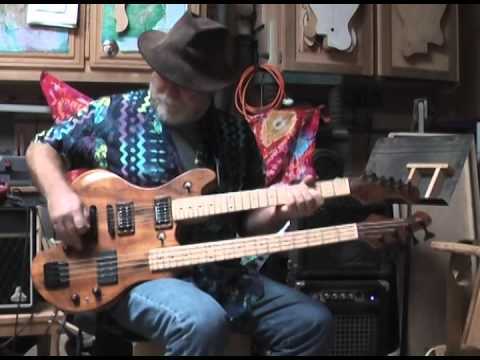 That guitar is wonderful as well - tone and playability, but it serves a different purpose in the band. Screwy, I know. 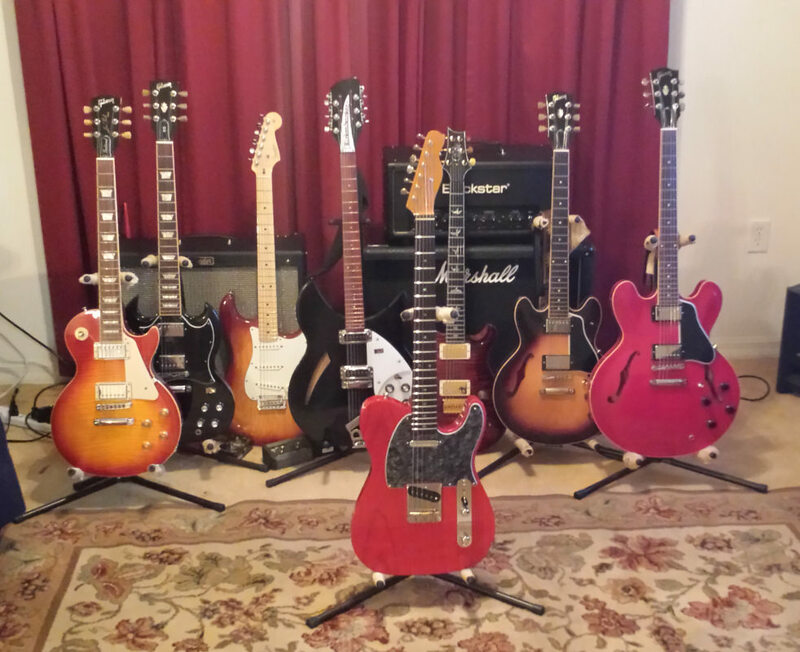 I should post a picture of a ‘59 Les Paul burst, or a 57 ebony. I’m in a different place as a player now. Not necessarily a dream guitar, but damn, this one has its hooks in me lately. Glad to hear you're happy with your PRS! And then I do the whole thing with playing it and deciding not to sell it again! And of course, that PRS of mine is one of the instruments caught in that particular loop! Do you remember Sonar1? That guy hated, hated, hated PRS and complained voluminously to me about the breed one night on the phone. But then, a few months after he laid his anti-PRS tirade on me, I called to see what he'd been up to and the man told me that he has this new PRS that he absolutely LOVES. He was even gigging with it! I reminded him of his slagging of the type in that one conversation and asked him WTF happened. He laughed and unapologetically told me that he'd changed his mind. Guffawing, he admitted, "It happens a lot!" I huffed, "How long do you expect to continue being my gear guru, while negating your own sentiments and reversing yourself like this? Where's the logic?" His response was to ask me, "How long have you been playing the guitar now, Rob?" "About seven or eight years," I answered thoughtfully. "Seven or eight years... and you still haven't figured out that 'logic' has almost nothing to do with it? I thought you were a quicker study than that!" he laughed. Anyway, very nice to see you online again. Hope all's well for you, and that we'll see more of you in the immediate future! I think about you quite often, Rob. You're kind of unforgettable, you know. Everything is fine with me. Genny has a bad cold, but that's winter for you. Still gigging. She has that beautiful warm alto. I never get tired of that voice. I don't see how anyone could get tired of a good SG, either, really I don't. My favorite Gibson design. I like the heavier ones, at more than seven lbs. To me they sound much meatier than the light nose-divers. Mine is an old brown one with a big round neck. It sounds so good! And plays so smooth. 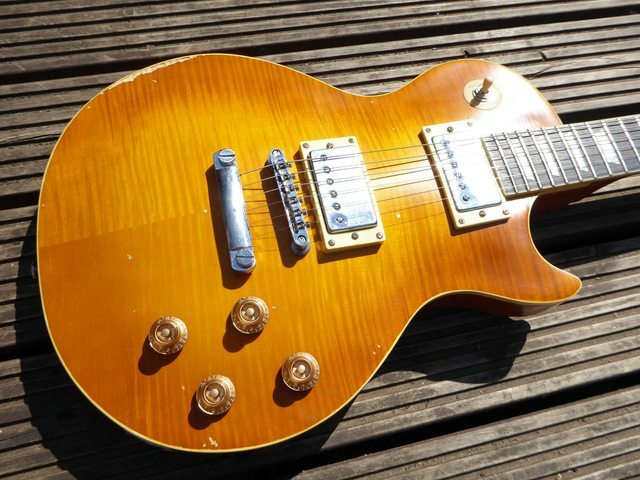 A PRS McCarty 596 would be nice, but they are very expensive! Kind of like that 12-string you want...yikes! I like the CE. Nice wide-thin neck and all those tones. And I like the tele I built but you just can't beat a good SG. At least I think so. You be good. And if that is not happening, at least be careful.